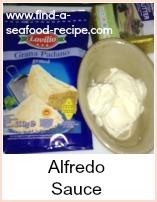 I love pasta, but I don't like the meat sauces - I love seafood sauces and this seafood fettucini recipe is one of my favourites. I keep a bag of mixed seafood cocktail in my freezer for this one - it defrosts pretty quickly if you open it and spread it out over a plate. 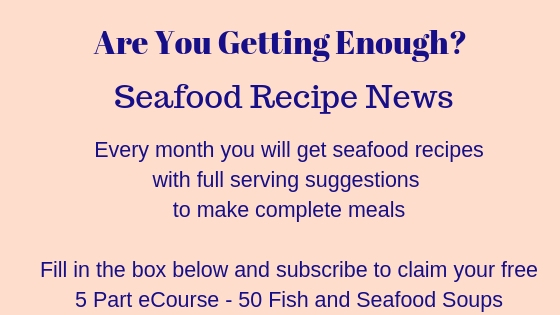 Once again, you can substitute shrimp for the mixed seafood cocktail - canned tuna is a good option or a mixture of fresh fish fillets - skinned, boned and chopped. 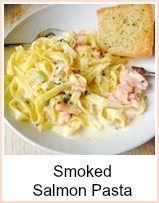 Chopped smoked salmon is a great choice too. Cook the fettucini according to the packet instructions and whilst it's cooking, you can get the sauce together. Put the oil in a pan and when it's hot, fry the onion and garlic until softened - do not brown. 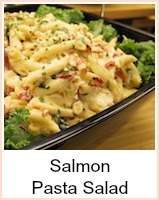 Add the cream cheese and wine and stir rapidly to make the sauce creamy. Add the seafood cocktail to the pan and heat though for about 2 minutes - taste and add salt and pepper if required. Salt is rarely needed. Tip the pasta back into the pan and pour the sauce over. Mix thoroughly - if the sauce seems a bit thick, add a tablespoon of the pasta water to slacken it off. Serve with freshly grated parmesan and a twist of black pepper. 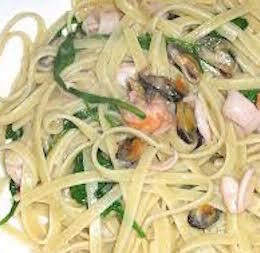 You could make this seafood fettucini your very own - something different every time. Such a quick and tasty meal, you can have this on the table quicker than you can order a takeaway.